Use of antipsychotics in nursing homes for dementia and other conditions has fallen since the start of a new government program, according to data from the Centers for Medicare and Medicaid Services (CMS) reported today in The Lund Report, a health care newsletter. In 2012, CMS launched the National Partnership to Improve Dementia Care in response to data showing that more than 17% of nursing home patients had daily dosages of antipsychotics exceeding recommended levels. The partnership’s goal is to reduce antipsychotic drug usage by 15% by the end of 2013. The new data show the national prevalence of antipsychotic use in long-stay nursing home residents had been reduced by 9.1% by the first quarter of 2013, compared with the last quarter of 2011. At least 11 states have hit or exceeded a 15% target, and others are approaching that goal. States that have met or exceeded the target are Alabama, Delaware, Georgia, Kentucky, Maine, North Carolina, Oklahoma, Rhode Island, South Carolina, Tennessee and Vermont. 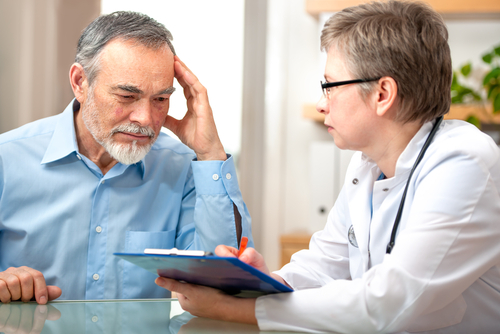 For more on the partnership see the Psychiatric News article "Dementia Patients Likely to Receive Fewer Antipsychotics."